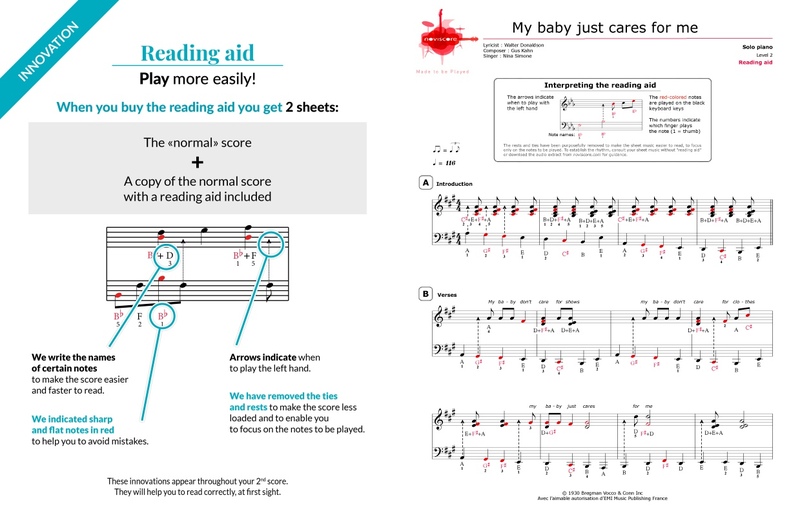 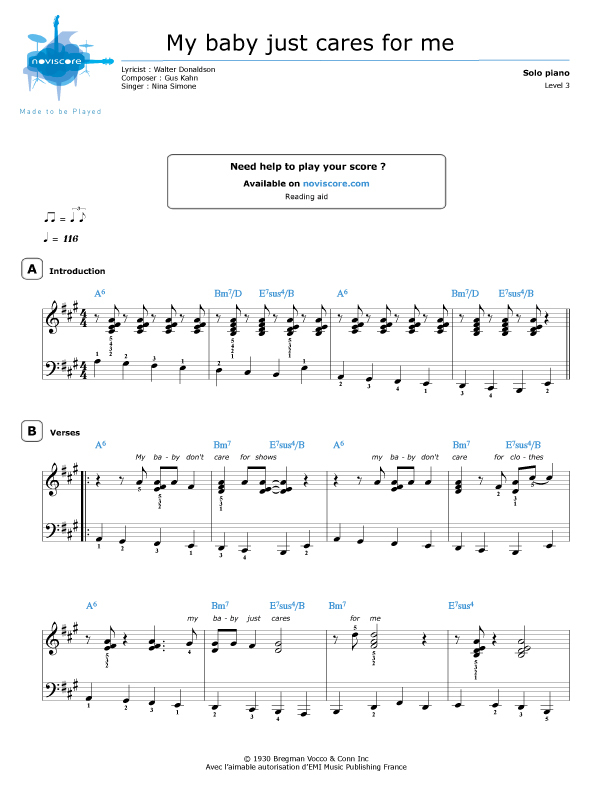 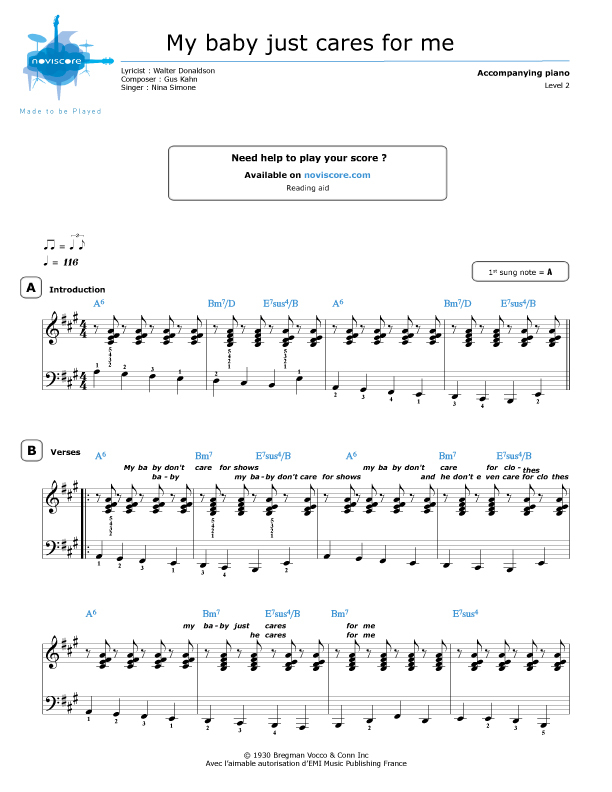 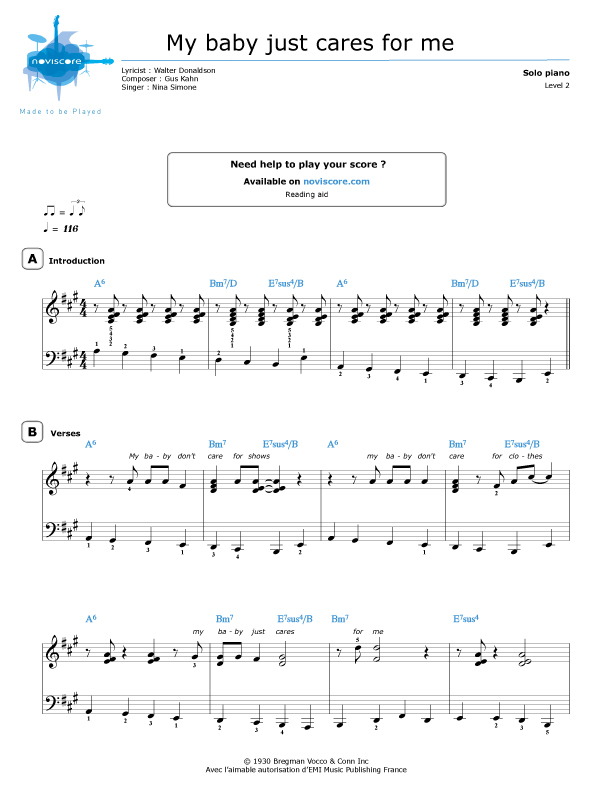 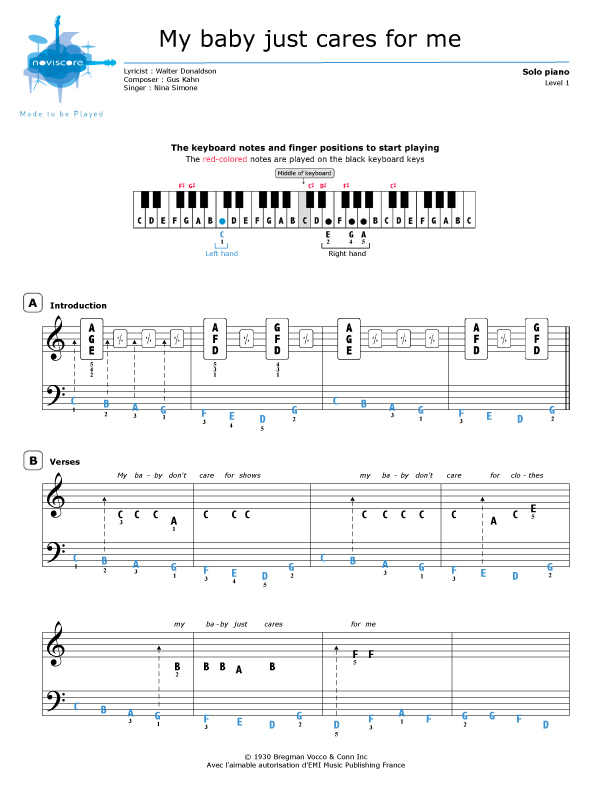 If you're a jazz fan, you'll love our My Baby Just Cares For Me piano sheet music by Nina Simone. 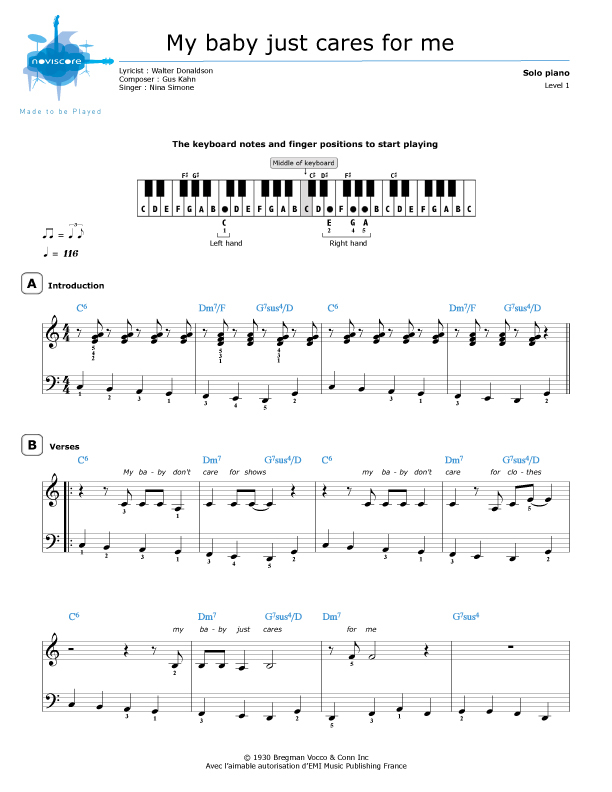 Available in 4 different skill levels for piano solo – from beginner to accomplished pianist. 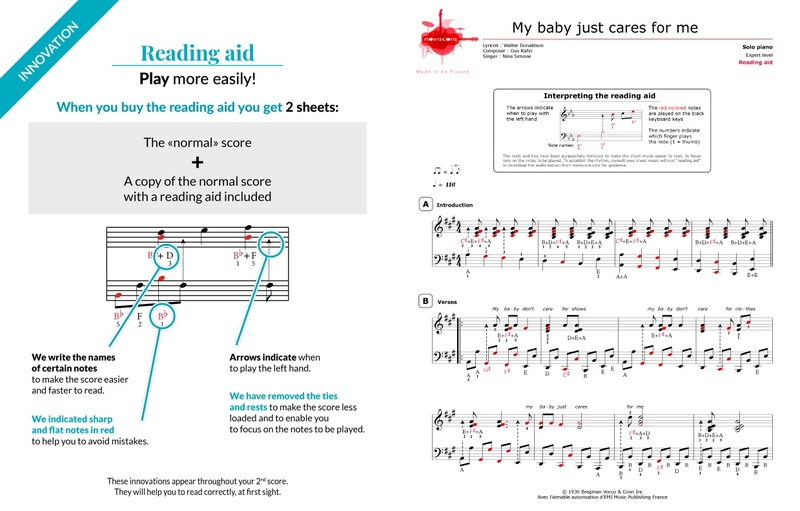 If you prefer to sing along, try our piano accompaniment version level 2. 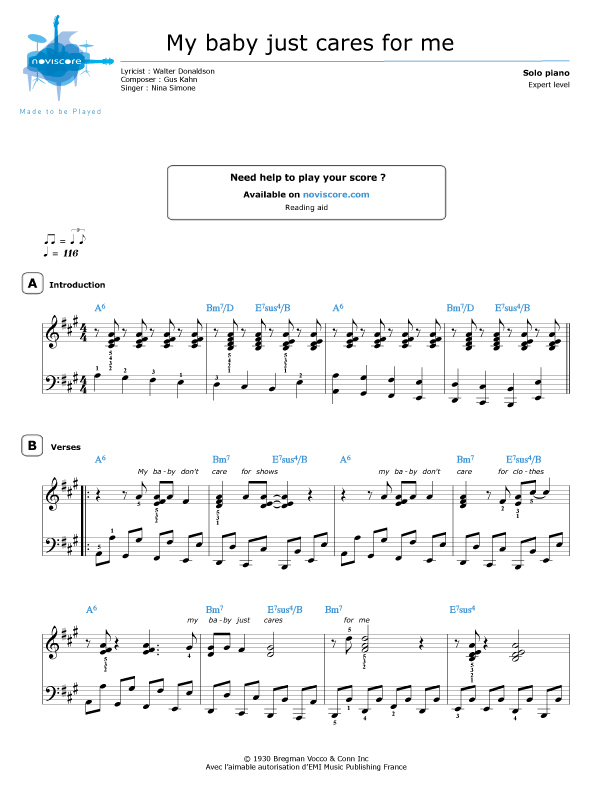 This well-known jazz standard was written by Walter Donaldson in 1928. 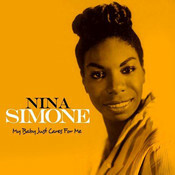 Nina Simone recorded her version in 1958 which later became a top ten hit in the UK in 1987 when it was used in a Chanel TV commercial.